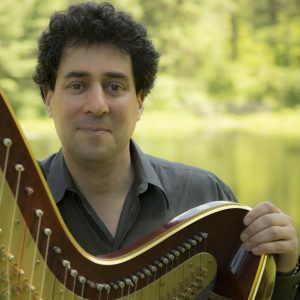 Czernowin’s output includes chamber and orchestral music, with and without electronics. Her works were played in most of the significant new music festival in Europe and also in Japan Korea, Australia, US and Canada. She composed 3 large scale works for the stage: Pnima…ins Innere (2000, Munich Biennale) chosen to be the best premiere of the year by Opernwelt yearly critic survey, Adama (2004/5) with Mozart’s Zaide (Salzburg Festival 2006) Adama has a second version written with Ludger Engles, with an added choir which was presented in Freiburg Stadttheater (2017). The opera Infinite Now was written in 2017. The piece, combines/ superimposes materials of the first world war (Luk Perceval theater piece “FRONT”) with the short story Homecoming by Can Xue. Also this opera was chosen as the premier of the year in the international critics survey of Opernwelt. Czernowin was appointed Artist in residence at the Salzburg Festival in 2005/6 and at the Lucern Festival, Switzerland in 2013. Characteristic of her work are working with metaphor as a means of reaching a sound world which is unfamiliar; the use of noise and physical parameters as weight, textural surface (as in smoothness or roughness etc), problematization of time and unfolding and shifting of scale in order to create a vital, visceral and direct sonic experience. all this with the aim of reaching a music of the subconscious which goes beyond style conventions or rationality. In addition to numerous other prizes, Czernowin represented Israel at Uncesco composer’s Rostrum 1980; was awarded the DAAD scholarship (’83–85); Stipendiumpreis (’88) and Kranichsteiner Musikpreis (’92), at Darmstadt Fereinkurse; IRCAM (Paris) reading panel commission (’98); scholarships of SWR experimental Studio Freiburg (’98, ’00, ’01 etc); The composer’s prize of Siemens Foundation (’03); the Rockefeller Foundation, (’04); a nomination as a fellow to the Wissenschaftkolleg Berlin (’08); Fromm Foundation Award (’09); and Guggenheim Foundation fellowship (’11); Heidelberger Kunstlerinen Preis (’16); The WERGO portrait CD The Quiet (5 orchestral pieces) has been awarded the Quarterly German Record Critics’ Award (’16 ). She was chosen as a member of the Akademie der Kuenste in Berlin in 2017. 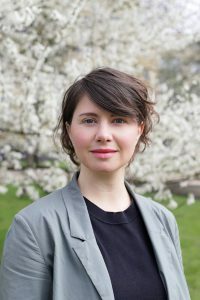 Czernowin’s work is published by Schott. Her music is recorded on Mode records NY, Wergo, Col Legno, Deutsche Gramophone, Kairos, Neos, Ethos, Telos and Einstein Records. Born in Argentina, Diez-Fischer studied composition and choir conducting in the Argentinean University UCA. After one year at the Ircam’s cursus, he studied with Rebecca Saunders at Berlin. From 2014, he is Assistant profesor at the Haute Ecole of Music of Geneva. He has received various scholarships including Eichstätt-Ingolstadt University, Germany (2003), Antorchas Foundation, Argentina (2004), a scholarship given by the Embassy of France, Mozarteum Argentine and “Cité Internationale des Arts” and has been awarded with the following prizes: SCRIME 2003 (France), Música Viva 2003 and 2005 (Portugal), IMEB Bourges 2007 (France), Prix Joan Guinjoan 2009 (Spain), Clang Cut Book Berlin 2013, etc. He has been commanded various pièces by ensembles, institutions and Festivals: Borealis Festival (Norway), Ensemble Le Balcon -opera- (France), Ensemble Vortex (Switzerland), Ensemble Batida (Switzerland), Ernst Von Siemens Musikstiftung for an ensemble l’arsenale’s commission, Ensemble KDM Berlin, Ensemble Dal Niente, etc. 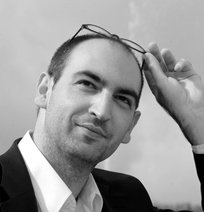 A French composer born October 27, 1974 in Venissieux. Born into a family of musicians, a pianist trained at the Saint-Étienne Conservatory, Colin Roche, who obtained a diploma in political sciences, studied at the Lyons Regional Conservatory, the University of Rouen, and then at the Paris Conservatory with Philippe Leroux. The holder of a master’s degree in composition and a DEA in musicology, he is also interested in literature, particularly the poetry of Francis Ponge, as well as in the visual arts. His compositions have often been the result of encounters, notably with the visual artistes Simon Artignan and Jean-Marc Poyet. Roche’s research starts with neutral, everyday objects and translates them into sound. Like note books, like the successive sketches of a progression, his works, intimate and excluding orchestral forces, are built up within the listening process and the relationship to the musical object. 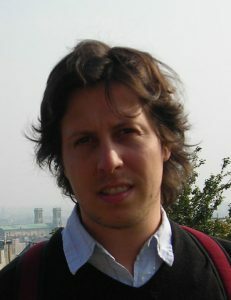 His works include Réflexions sur le Carnet (2000),Ground Zero (de mon écriture) (2002), Bristol… puis souffle (2005), La robe des choses (2006), Érotique de l’allumette (2008), Le volet en jalousies (propriété du soupir) (2010). 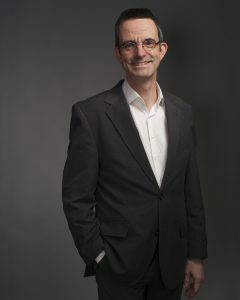 Davo van Peursen is the managing director of Donemus Publishing that treasures 13,000 compositions written over last 100 years by more than 600 composers. The catalogue covers all kinds of music, from minimal to experimental electronic music, from string quartets to operas. All scores and parts are digitized. Davo renewed Donemus in 2012 to an innovative publishing house with a new business approach. It is the first music publisher that offers digital parts for rent and distributes both hard copies or PDF as permanent loan. Donemus reaches customers in 50 countries from amateurs to the top soloists, orchestras and opera houses. Donemus built a strong community with a large network and with 1000 daily views on its media. It also cooperates with new digital innovations like music XML and digital music stands. Davo studied organ and contemporary improvisation at the Royal Conservatory and lives in The Hague The Netherlands. He is the chairman of the Dutch Music Publishers Association (VMN) and board member of Buma/Stemra, the Dutch author rights society He is regularly asked for lectures on the future of music publishing in several countries. 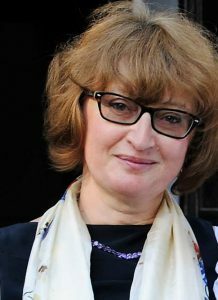 Leila Monasypova graduated from the Kazan Zhiganov State Conservatory as a musicologist. 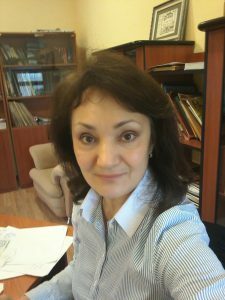 She worked as the Artistic director of the Volga and Ural regional Composers House, the Director of the Record Studio of the TV Company “Tatarstan – New Age”, the Executive director of the International TV Tatarian Songs festivals. She is also a producer and the musical director of the documentary movies devoted to the Tatarian artists. At the moment Leila Monasypova is the Artistic director of the Sofia Gubaidulina Contemporary Music Centre in Kazan. Among the projects are the concert series “Sofia Gubaidulina Sound Spaces”, the regularly festival “Sofia Sound House”, the art-project “Contemporary art and music”, the Children Musical lectures, etc.